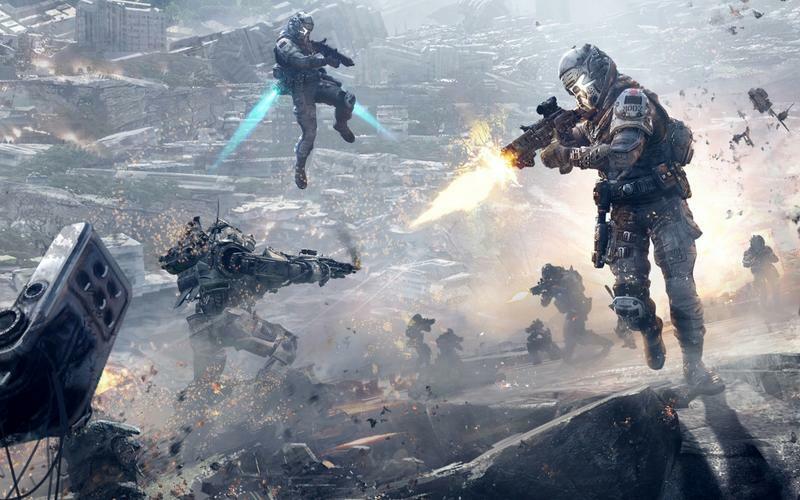 If you hang out in the Titanfall subreddit, you've been chatting about today's announcement for weeks – a horde-style mode called Frontier Defense is hitting Titanfall along with today's update. Frontier Defense is a cooperative mode for up to four players that tasks you with defending an objective point from AI-controlled titans, pilots and grunts. To defend your objective point, you'll be able to set down automated turrets and swap loadouts using Loadout Crates scattered around the map. Frontier Defense is playable on every map, both standard and DLC, and has its own star rating to rate how well you've done on the map. This has been an often requested and hotly anticipated mode for the game and should give fans a reason to go back to check it out again. In addition to Frontier Defense, Ranked Play will be introduced, which "will enable you to work your way through an increasingly challenging set of Tiers by out-performing other Pilots in battle." This feature applies to all modes and is launching in beta form to start, "in order to obtain the metrics [needed] to finalize the details." Ranked Play can be turned on and off and is usable in standard Titanfall matches. As your rank increases, you'll see it reflected in place of your generation tag in lobby screens, giving players who have already reached the 10th generation something new to do. The other new game mode coming with this update is the Deadly Ground mode, in which the ground of the map is covered in electric fog. This is perfect if you've been missing out on playing Hot Lava since you were a kid. New additions to the list of Titan Insignias and Black Market are coming as well, such as the ability to buy challenge completions using in-game credits. If you need a certain challenge to get to the next generation but can't seem to quite get it, this might be a great way to keep your advancement moving. New Titan OS voices are coming as well, including the standard Betty voice in new languages. You can look forward to 17 new achievements as well. This is a substantial update that should infuse the game with some new life on Xbox One and maybe even give the struggling PC version a boost.